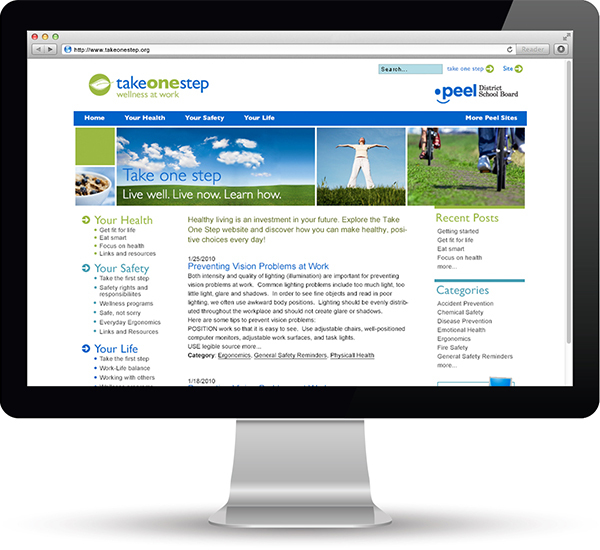 The goal of the Take One Step site is to reduce workplace injuries and absenteeism. Despite the serious goals, the photographs and tone of the website are light and breezy with images of active lifestyles, healthy foods, outdoor vistas, and happy people. Colours are cool to give a clean feeling, and the site uses a layout that brings to mind the organization’s external site branding. 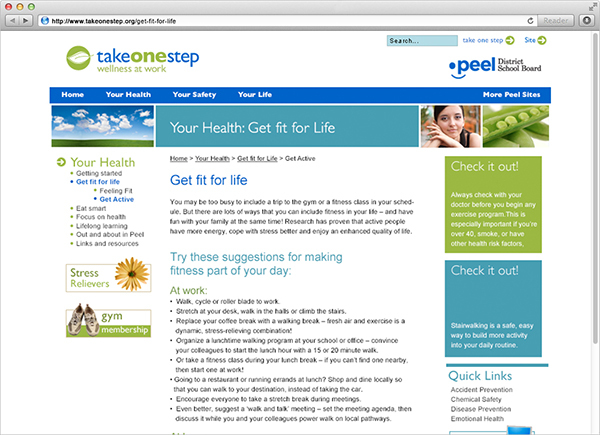 This SharePoint blog-based site was designed to be maintained using internal resources.